I just received a brand new release from Blockheads Paper Arts called "Proud as a Peacock." 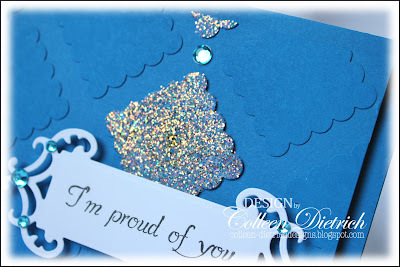 Just Us Girls challenge this week is Faux Embossing. It's so cool, and so easy! 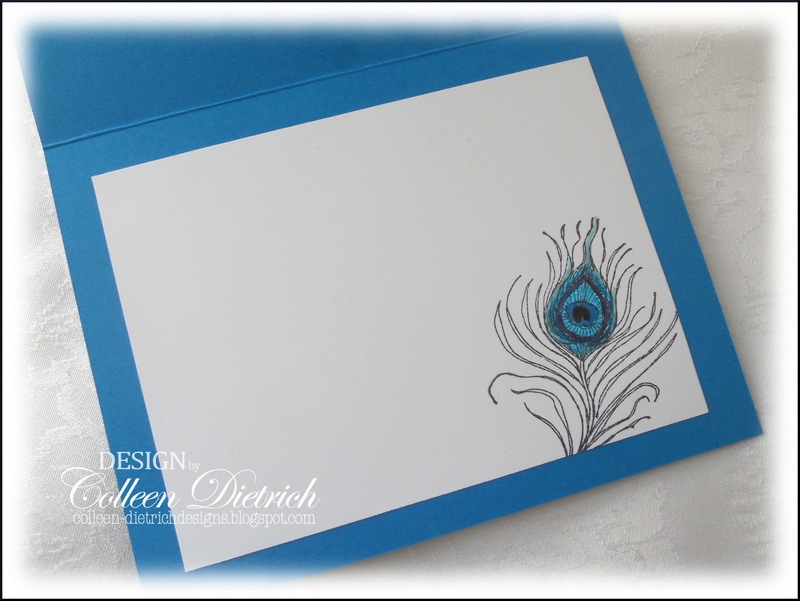 You die cut or punch out shapes, and add them to your card so it looks as though it's been embossed. I used a Scallop Square punch. 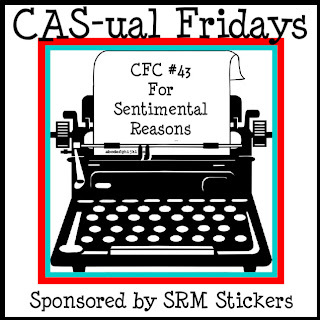 And this is entered also at CAS-ual Fridays. The challenge is to use a sentiment as the focal point. Cut a smaller panel of the same cardstock (5" x 3.25"); adhere to base with foam dimensional stickers. Punch scalloped squares from scraps and adhere to panel. Apply adhesive using glue pen to thee squares, then glitter. 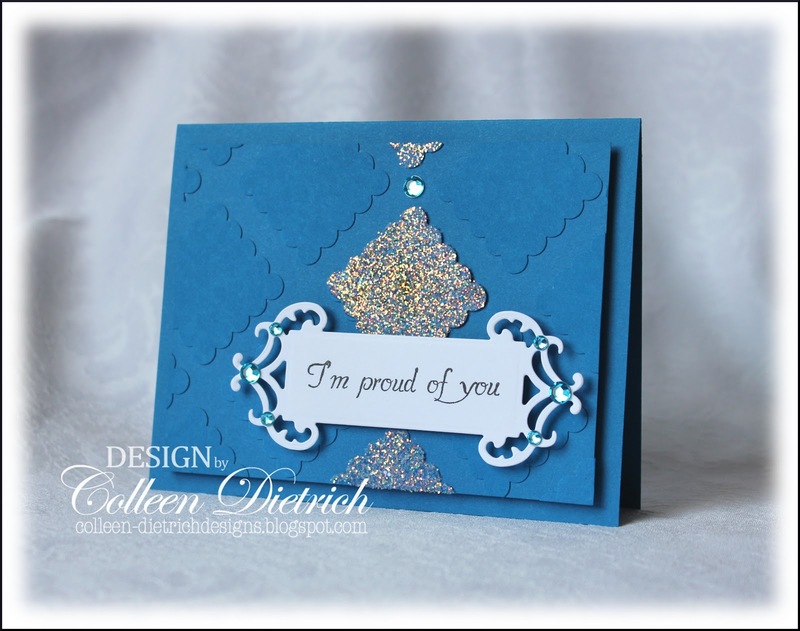 Die cut label with Big Shot and stamp sentiment; affix gems. 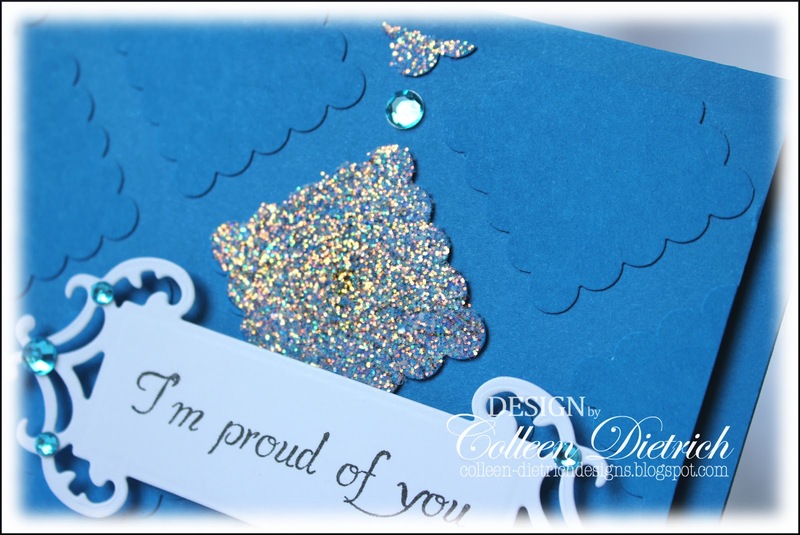 When glittered squares are dry, adhere sentiment panel to card using foam dimensional stickers. If you have any questions on anything about this card or any others I make, don't hesitate to contact me! My email address is on the right sidebar of this blog, near the top. SO pretty, Colleen! That feather is fabulous! Gorgeous peacock feather and well done on the faux embossing! 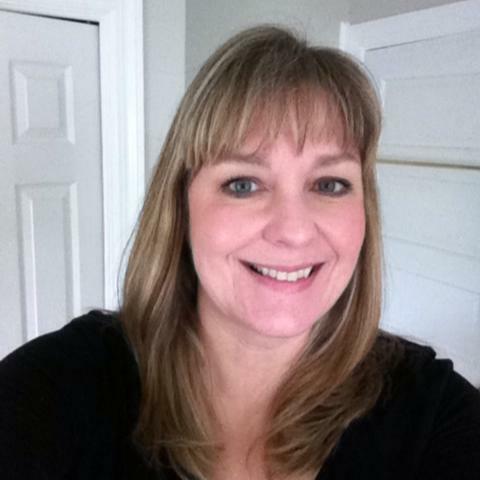 Very pretty, Colleen! I've never heard of faux embossing - very cool! So beautiful Colleen, that blue is so reminiscent of peacocks! A fab technique, and I love the glittered square. Great job! Oh my goodness, what fabulous stamps... LOVE your card... gorgeously simple and chic. What a beauty! I love how you use the Blockhead stamps. The inside of your card is just awesome...super colors on this one. Ohh! Love the way you spot lighted the sentiment! Gorgeous on the inside too! Now those look like some fun stamps.. I love the card and the faux embossing what a great idea..
LOVE the sparkle!! 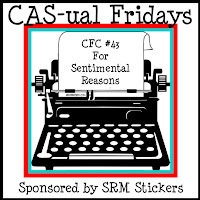 Thank you for getting sentimental with us this week at CAS-ual Fridays! So very pretty and elegant!! 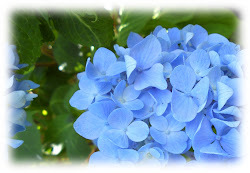 That rich blue color is just delicious! Thanks so much for playing with us at CAS-ual Fridays! We're so glad you did! So BEAUTIFUL Colleen! Love the glittered die cut! Great use of faux embossing! Thanks for playing along with Just Us Girls! This is a neat stamp set and I love your choice of blue! The feather on the inside is such a fun surprise.